Clock-X turns your big screen television into an analog clock. It also provides current weather conditions, along with a seven-day forecast. Simple clock and weather. 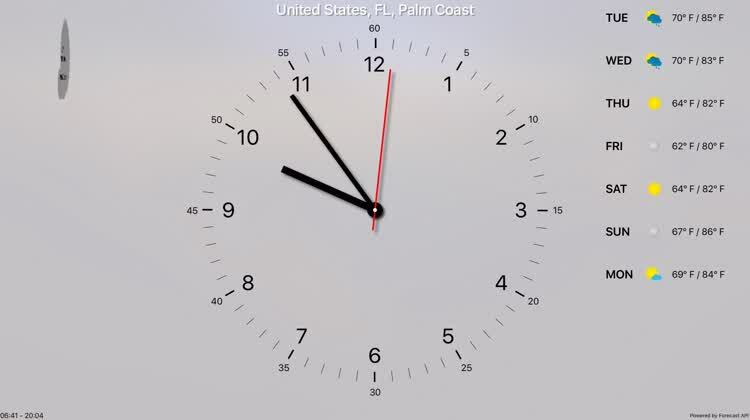 Clock-X provides a simple analog clock for your Apple TV. You can hear the ticking, just like a physical clock, along with a repeating gong at the top of the hour. If you enable your location, your current weather conditions will display as well as the week’s forecast. The clock also switches between day and night modes automatically based on sunrise and sunset times. 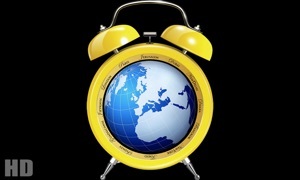 Clock-X is a simple app, but it provides a wealth of information. You get an analog clock, along with the current weather conditions and an extended forecast for your location. 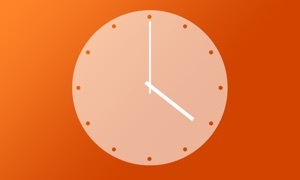 Every hour, the app sounds a gong to let you know the hour has changed. In addition, Clock-X changes between day and night modes, depending on sunrise and sunset times in your location. 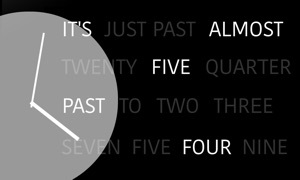 If you enjoy a simple, but beautiful, analog clock, Clock-X is a great display. 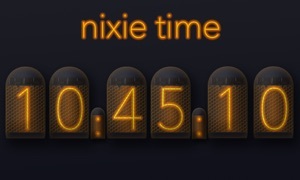 The addition of weather information is an awesome feature, and the hourly gongs help you keep track of passing time. For those times when you've got the app open after sunset, the night mode keeps from glaring at you in the dark. Here you'll find an analog clock replacement for your living room. It show the time on your TV and informs you each full hour with a repeating gong. It also show the weather info (temperature and pressure) at your current location. Also a forecast for the next seven days. Depending on the sunset and sunrise the clock switch between day and night theme (dark).